Nothing compares to the joy of having a child. It’s like having a little version of you running around. You get to guide them every step of the way, from their first breath until your last. You want to give them the best of everything. That means the best love, the best knowledge, and the best life possible. And while you can do most of that with good intentions and hard work, you’ll also need smart money management to give them the life they deserve. It may seem daunting, but if you prepare and budget properly, they’ll be fine. And we’d love to show you how. It’s never too early to start thinking about school. Prep school and tertiary education can be expensive, and if you wait too long, it gets more and more difficult to afford. Should I send them to prep or primary school? It’s important to think about what kind of a school you want to send your kids to. How much do I need to save overall? Understanding the total cost for schooling can give you a goal to work towards. What are the extras going to cost me? Remember, transportation, books, and school supplies aren’t free (although it’d be great if they were). Make sure to budget in for the extras. What about my future? While you want the best for your children, you can’t forget to think about your own needs as well. Planning for retirement requires a significant financial investment. Make sure you factor that into your plan for your children’s future as well. Compound interest: Save for tertiary education now and your money will grow over time. The earlier you start, the greater your money will grow. Habits add up over time: Build good habits now and they’ll stick with you. Even if you’re just saving small amounts each week or month, those add up. 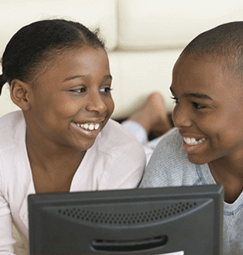 Incentive as they grow older: Let them know from an early age that you’re saving for their tertiary education. Believe it or not, it will give them incentive to work hard in school because they’ll see how invested you are in their success. If you’re interested in exploring solutions on how we can help, The JMMB Graduate is a great place to start. Having a baby will be an earth-shaking experience for you. It will be the same for your wallet. Knowing what to expect can help you plan for what’s to come. For women: If you’re pregnant, you may get to the point where working is difficult or impossible. And if you don’t have maternity leave, this means losing your income for a few months. And keep in mind, even if you have health insurance, you cannot use it for medical bills. They must be paid for upfront and at the end of the pregnancy you can put in the claim. That means it’s critical that you have an outlay of cash to fund all expenses. For men: If your wife is pregnant, it might mean that you have to be the primary breadwinner for some time. Especially if you’re used to a two-income household, you may need to work extra hours or budget accordingly. Between hospital bills, preparing a crib, and ensuring you have all the baby accessories ready, you going to need a little nest egg. Create a budget and make sure you stick to it. If you save enough each week for the obvious (and not so obvious) expenses, you can set yourself up for a no worries pregnancy. We’re always happy to help new parents. 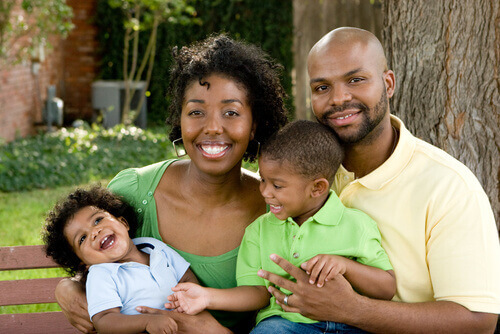 We have health insurance and life insurance that can help you along the way. If you need help creating this budget, speak with one of our representatives. Hand-me-downs: They outgrow clothes, shoes, and cribs so quickly, you don’t always need to buy new ones. See what family and friends have lying around the house. Can we help: If friends and family ask what they can bring, don’t ask for baby clothes and toys. As they quickly outgrow outfits and toys, it’s better to suggest necessities like diapers and shampoos that you constantly replace. This will allow you to offset costs. Grandparents over babysitters: Babysitters can be expensive. Your parents are often free, plus you know they’ll love spending time with their new favorite grandchild. Create a “baby account”: Know how much money you’ll need each week for the baby, and create an account just for that. It will help you keep your finances straight. While none of us like thinking about it, if something were to happen to you, what would your child be left with? It’s better to prepare a will that you won’t need to touch for another hundred years than be caught without one when the unexpected happens. A living will: Make sure that you have everything lined up, in case you are unable to make decisions anymore. A trust: Set up your child as a beneficiary and teach them the value of a dollar. 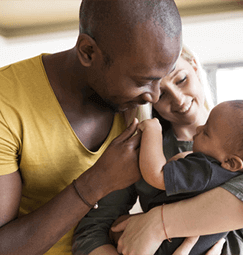 Life and health insurance: Having the first will give your children something when you’re gone, having the second will help reduce the chances of needing life insurance for a long time. Power of attorney: While they might be young for it now, eventually providing them with power of attorney for your finances and health care can ensure you have the best person making decisions on your behalf. If you’re interested in setting up any or all of the above, give us a call. We’ll talk about your options and see what makes the most sense for you.